They demanded an end to the escalation of racist terror tactics of the ICE, the Trump administration, the former Obama administration and union busting on both sides of the border as well as the use of NAFTA to attack workers and unions on both sides of the border with privatization and deregulation. The need to oppose the growing attacks on working people, privatization and union busting in Mexico and the United Sates is critical. Both the Democrats which helped push NAFT through in the US and the Mexican government which supported NAFTA are responsible for the growing poverty, attacks on social conditions, wage cuts and attacks on union on both sides of the border. The privatization of Mexico's railways, telecom, land, oil, public services including education has led to deprivation and the theft of the people's property which has now ended up in the hands of Slim and other billionaires and multi-nationals on both sides of the border. The US driven wars in Central America and the militarization of Mexico and the border with the US has harmed working people in the US and Mexico. The loss of decent jobs and the decline of wage for workers in the US and Mexico has brought suffering and pain to workers and their families. The need to workers in Mexico and US to join together to fight the same anti-labor forces and multi-nationals is critical. We cannot allow working people in Mexico and the US to be pitted against each other for the benefit of the people who our countries. WE call for a united fight to cancel NAFT and for the complete expropriation and re-nationalization of all properties and businesses stolen by NAFTA. 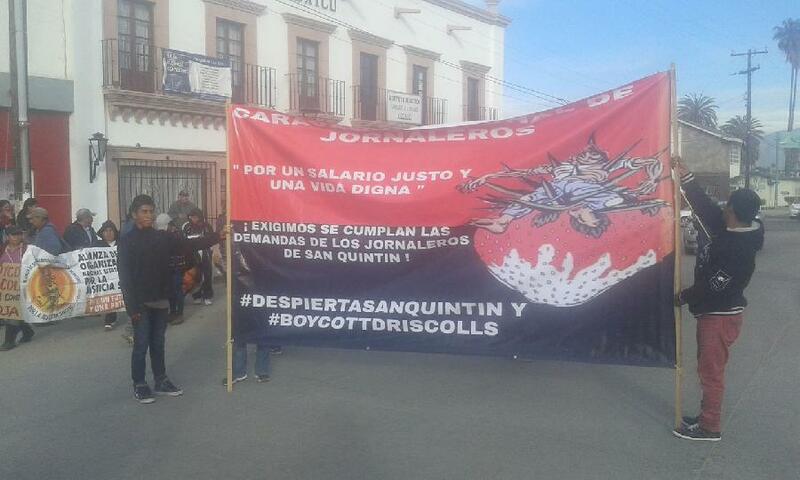 We call for full labor rights and criminal prosecution of capitalists on both sides of the border who threaten who threaten workers with losing their jobs when they fight for wage increases and safe and healthy working conditions. WE call for nationalization of the banks of both the US and Mexico who have benefited from destruction of jobs and lives on both sides of the border. These banks like Wells Fargo and JP Morgan are criminal syndicates who have benefited from illegal house seizures foreclosures and the massive drug trade which they benefit from. We call for joint actions of US and Mexico workers simultaneously on both sides of the borders against our common enemies. 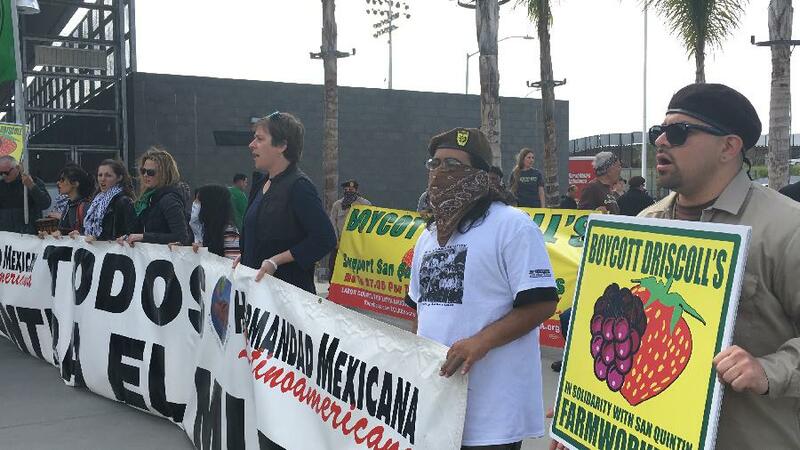 The border has been used by the capitalist governments on both sides for further exploitation and slave like conditions for agricultural workers like in San Quintin and the reactionary "guest worker" program which allows indentured servitude harming workers on both sides of the border. 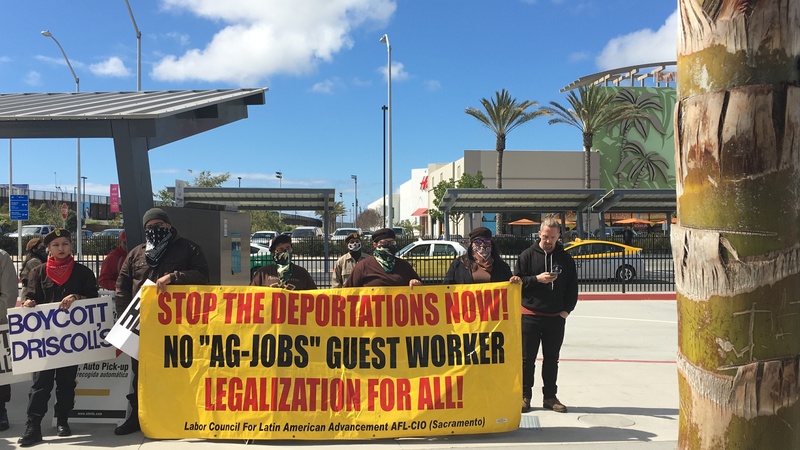 We oppose unions operating as "labor brokers" to bring workers from Mexico into the United States where they are 2nd class workers without the same legal, labor and human rights. We oppose the militarization of the border and more walls pushed by both the Democrats and Republicans. Instead of providing funds for education, housing and healthcare billions of dollars are now being wasted on border militarization. Our enemies are not other workers but governments who are owned by the billionaires and multi-nationals on both sides of the boarder. We will unite to defend all workers interests and workers power on both sides of the border. We call for an tri-national action conference of workers from Mexico, the US and Canada to establish a fighting unity and united front against all our bosses in every country. 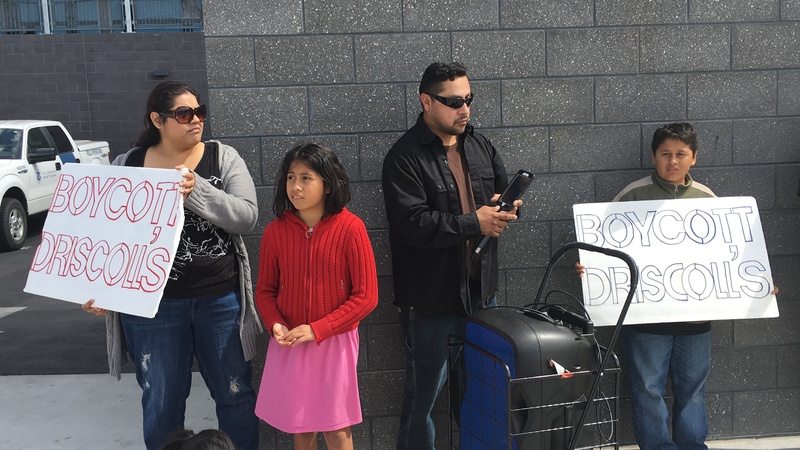 Families at the border rally supported Driscoll workers in Mexico.